Our adventure took us from the red rocks of Sedona to Flagstaff. It was early fall and my image of the hot deserts of Arizona did not include snow. But as we climbed higher and higher, the temperature dropped and so did the snow. Everything turned white and dazzling as nature wrapped and blanketed the ground and limbs with soft, wet snow. We stopped and threw mushy snowballs, but it was too cold for this thin blooded Southern to play very long. I braved the cold again, when we stopped at a park to watch the water tumble down rocks and twist its way out of the sight. Back into the car, we climbed higher until we reached Sunset Crater National Park. At every twist and turn our views included magnificent vistas, giant pines, straight and towering like sentinels along the roadway strewn with dead pines like matchsticks dumped from a box. An enormous ponderosa pine stood directly across from the Visitor’s Center. One side of the tree bare and brown and the other half sporting it’s winter greenery like a peacock it’s feathers. We scrambled out of the car, well actually, I scrambled and Wayne ambled. He wasn’t quite as excited as I was. The things that man goes through because he loves me! We headed for the warm, roaring fire that welcomed us from the front door like a grandma with hot cookies. 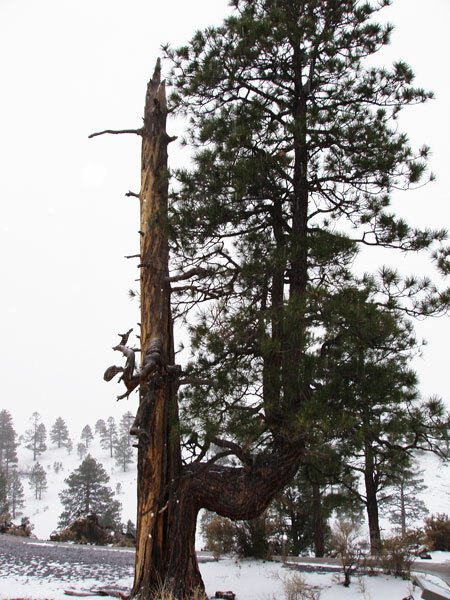 I enjoyed the snow, but I was intrigued by the graveyard of ponderosa pines that we had just driven through. Those tall pines are magnificent and huge! 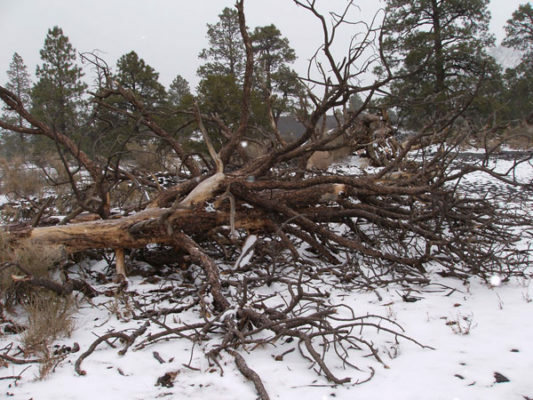 And the dead ones were naked reminders and remainders of the tremendous giants ponderosa’s can become, now stripped of their beauty and life, strewn across the mountainous landscape. What happened? Why? How? Thankful to have a warm place to escape the snow and someone to question, I began my barrage of questions. The park ranger explained that there were two culprits responsible for the devastation that I was observing. He explained that the drought which had continued for several years had critically limited the trees ability to produce life-giving sap. In the absence of sap, a tiny beetle had invaded the tree and traversed the capillaries. He picked up a bottle and showed us a single tiny culprit inside, no bigger than a grain of rice. 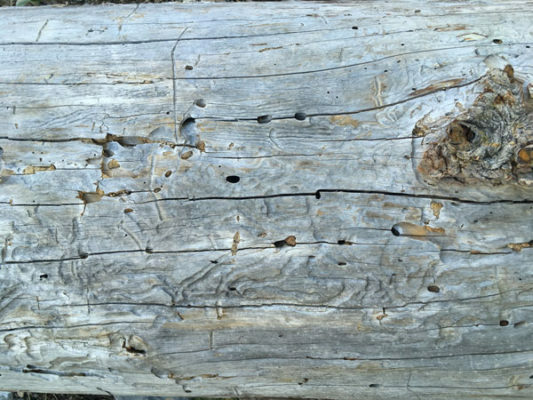 The infestations of the tiny beetles had brought devastation to hundreds of pine trees all over the higher elevations of Arizona. It was hard to imagine a tiny beetle was the culprit. I was shocked. Invaders no bigger than a grain of rice had destroyed thousands and thousands of these magnificent giants. And ten years later, the story is the same. Entire mountainsides tell the story of years of devastation. “How are the mighty fallen?” (2 Samuel 1:27) Was David’s agonizing response when he received the report that Jonathon and Saul had been killed on the battle field. I had to ask the same question, King Saul, “How? You had everything going for you! What happened? The sad story is recorded in 1 Samuel 15. He refused to take responsibility for his actions. He refused to admit that he had done anything wrong. Arrogance is as bad as worshiping idols. He refused to deal with the Amalekites in the manner that God instructed, then when God confronted him with his rebellion Saul only offered excuses. No heartfelt sorrow, no recognition that his disobedience was wrong, no deep repentance is recorded in his story. His greatest desire seemed to be pleasing the people and it cause him the kingdom. Many years and many war stories later a young man with ashes on his face and torn clothing fell down at David’s feet. Quickly the story tumbled from the man’s lips, “I have escaped from the Israelite camp and Jonathon and King Saul are both dead. Because I happened to be on Mt. Gilboa during the battle and King Saul called out to me. So I asked him what can I do for you? He asked me who I was, so I told him that I am an Amalekite. He asked me to stand by him and kill him. He said I am close to death, but I am still alive. So I killed him because I knew he couldn’t survive. Then I took his crown that was on his head and the band that was on his arm and I have brought them here to you my lord. King Saul refused to deal with the Amalekites like God instructed and many years later an Amalekite killed him. The issue he refused to deal with properly took his life and his crown. I know you lock your car (Tell me you do! ), but there’s nothing in your car as valuable as what is in your heart. Guard it. Protect it. Don’t let junk get in there. Love God…first and best of all…above everything else. Avoid stinking thinking…it ruins your face…no really nobody looks good with anger or disgust written all over their face. 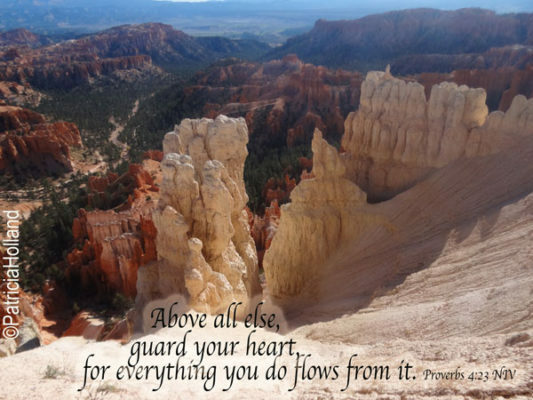 One more time…guard your heart. It is really, really important. Are you experiencing spiritual drought? Is God’s Word and His Spirit producing life in you? Are you passionately in love with Jesus? Water is a picture of the Word of God , Jesus, the Word made flesh is included in that picture. But it is also a picture of the Spirit of God. Fall in love with the Word of God and the Spirit of God. Are you dealing with the little invaders that want to devour you? Rain keeps you healthy so you are not susceptible to the little devourers! Oh Father, let the rain of your Word nourish and give life to us and let your Spirit reign in every choice we make that we might bring glory to your name. This entry was posted in Sin, Spiritual Growth and tagged godlessness, immorality, moral decay that destroys families, murder, sin, Spiritual Growth, truth.